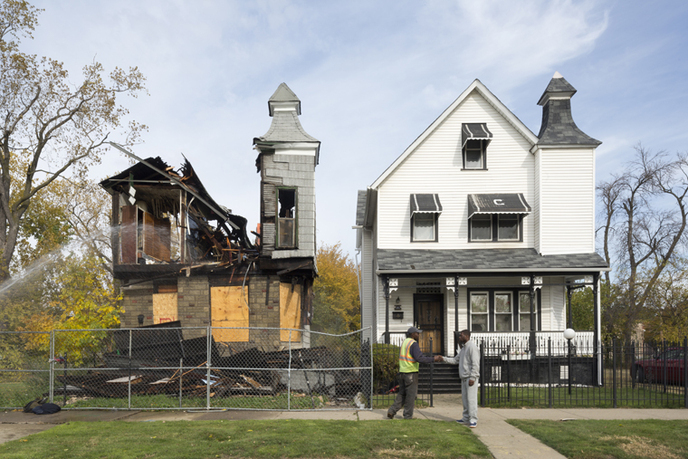 David Schalliol, a demolition in The Area, 2012, Chicago, IL. Popular discourse about commodity movements often obscures how the built environment is constructed to meet production and transportation demands. Few cities know the effects of these systems as well as Chicago, where geographic location and railroad development fueled its nineteenth-century expansion—and created new problems with the rise of intermodal shipping and just-in-time business models. 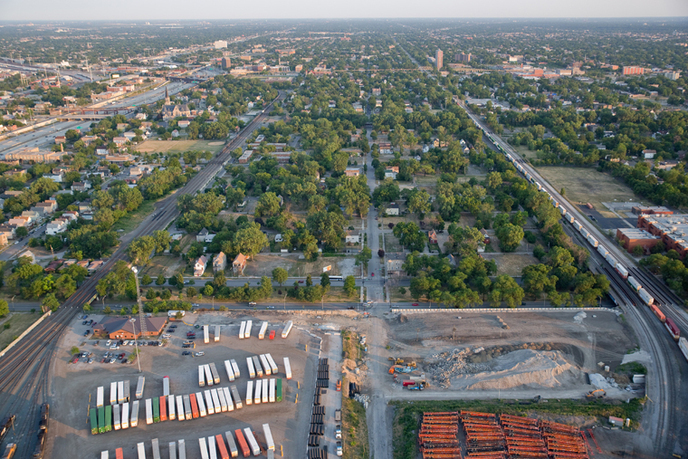 In response to these changes, transportation company Norfolk Southern is doubling the size of its South Side 47th Street Terminal by acquiring adjacent properties and displacing more than 400 families. The documentary film The Area investigates the tangible tensions between residents and the pressures of contemporary transportation policy by following neighbors living on borrowed time, maintaining friendships and traditions while struggling with new problems in their vanishing community. In so doing, the film demonstrates how institutional actors and informal actions collide to (re)produce place through simultaneous acts of creation and destruction. David Schalliol is an assistant professor of sociology at St. Olaf College who explores the transformation of urban centers through ethnographic, filmic, and photographic projects. 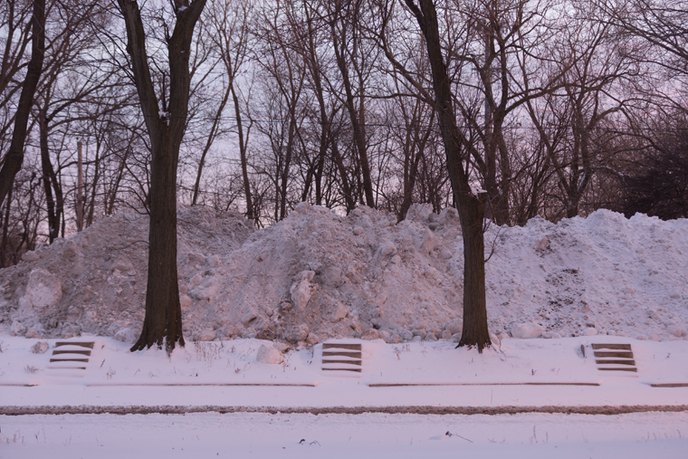 His writing and photographs have appeared in publications such as Artforum, Places, and The New York Times, as well as in numerous exhibitions, including the 2015 and 2017 Chicago Architectural Biennial and the Museum of Contemporary Photography's Midwest Photographers Project. He is the author of Isolated Building Studies (Utakatado, 2014), and regularly contributes to documentary films, including Almost There (ITVS/Kartemquin Films) and Highrise: Out My Window (National Film Board of Canada), an interactive documentary that won the International Digital Emmy for Non-Fiction (2011). He is currently making The Area, an ethnographic film about the displacement of more than 400 families on Chicago's South Side. Schalliol received his bachelor's degree from Kenyon College and his master's and doctoral degrees from the University of Chicago.